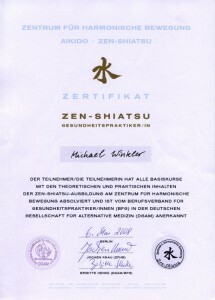 Beside being a martial and healing artist I am also a musician. 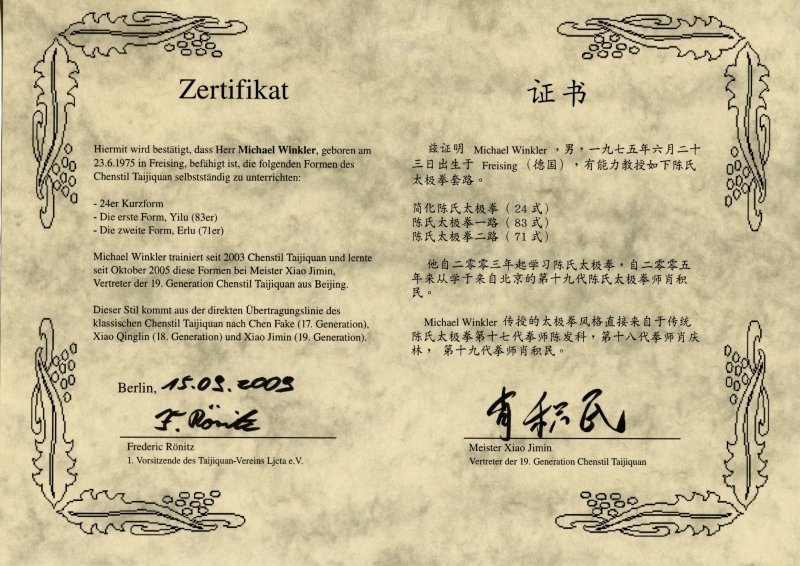 I was born on 1975 in Bavaria, Germany, and moved to Berlin in 1997. There I was going for a career as Jazz Guitar Player, but in 2003 my live changed quite a lot, so the Asian Martial- and Healing Arts became my profession. 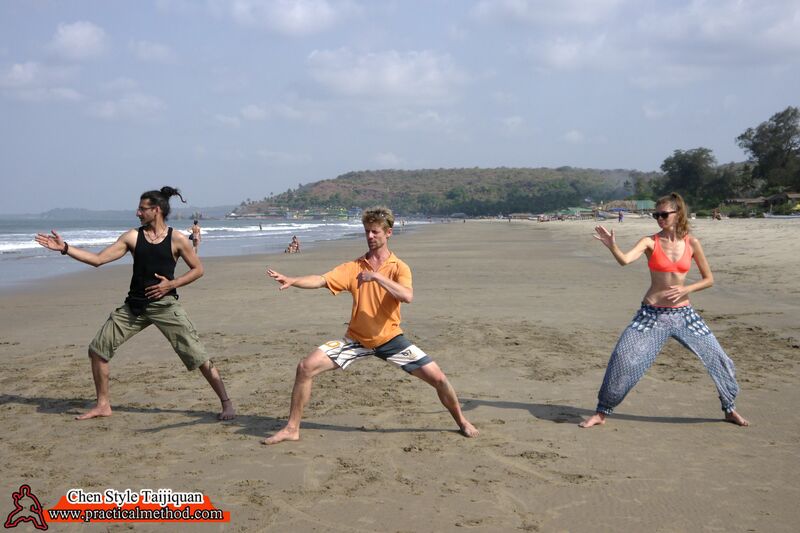 Nevertheless I keep my musicians heart, playing the Indian Bamboo flute and learning about the old traditional Hindustanic Music from North-India. 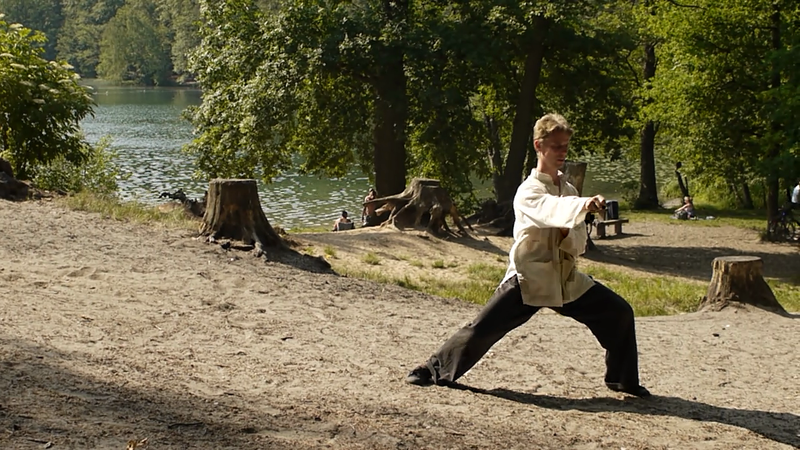 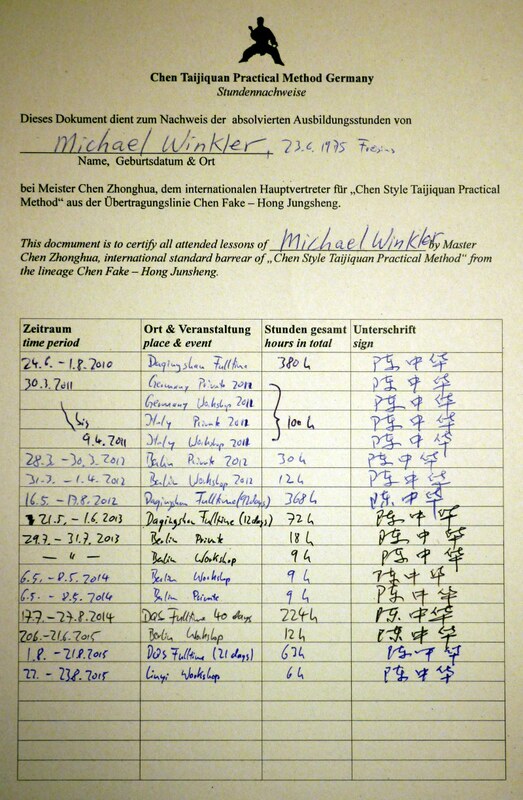 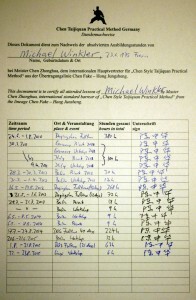 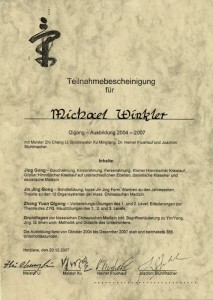 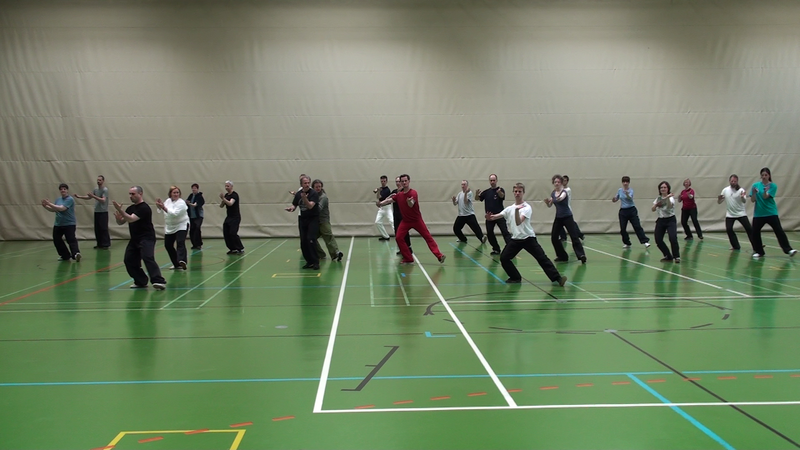 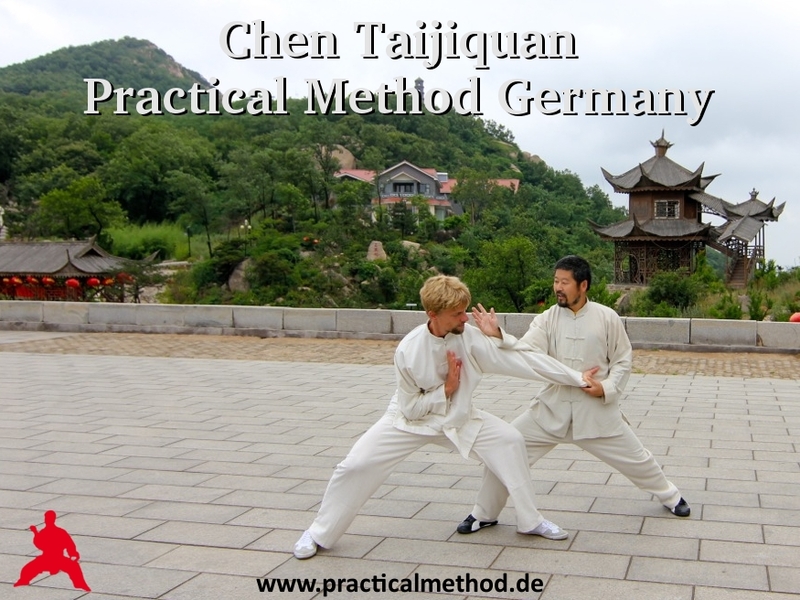 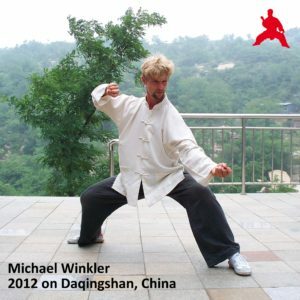 I am teaching “Chen Style Taijiquan Practical Method” since 2010 in Berlin, Germany. 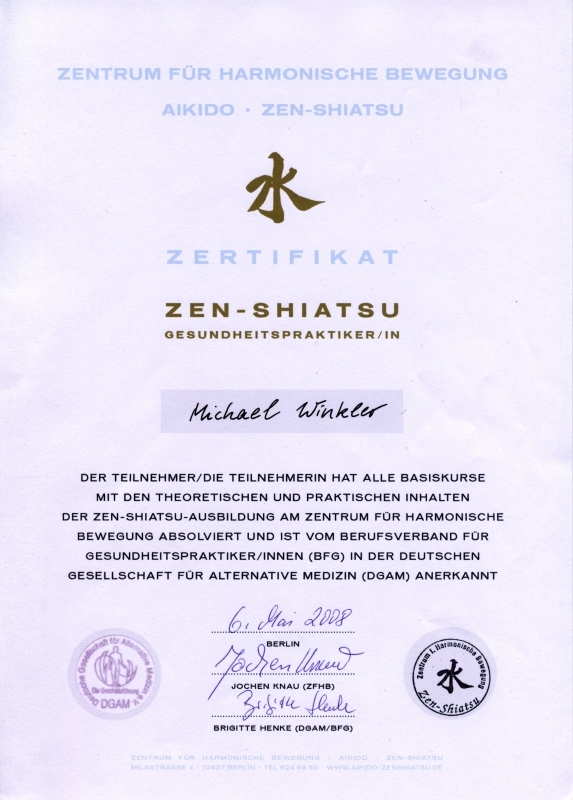 Further I provide health care service with Zen-Shiatsu since 2007. 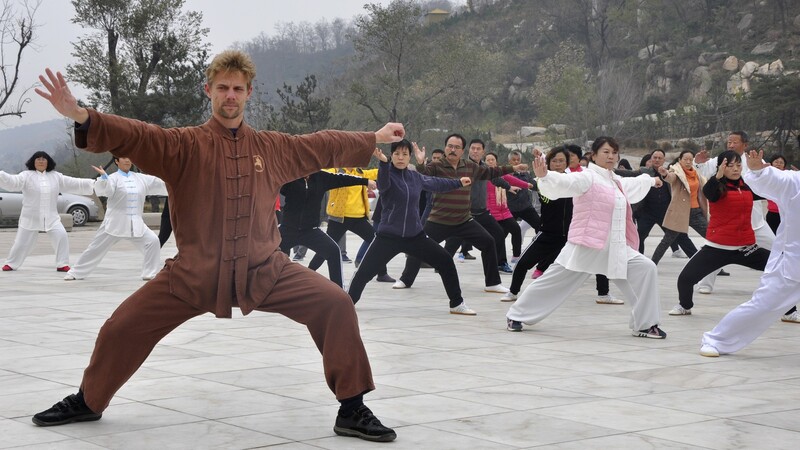 This is a holistic method of treatment, coming from Japan with roots from the old Chinese Medicine. 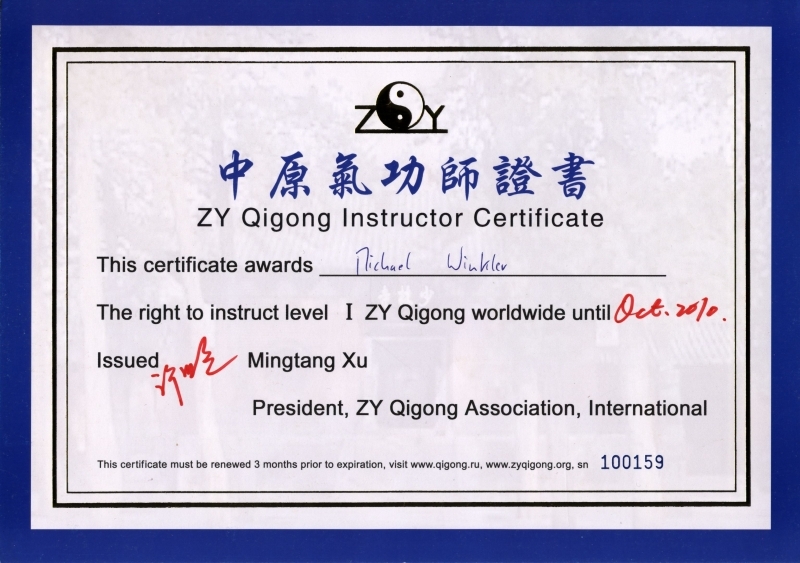 Since 2009 I am also teaching basic knowledge in Qigong, which are ancient Daoist methods of self-development, holistic health care and meditation. 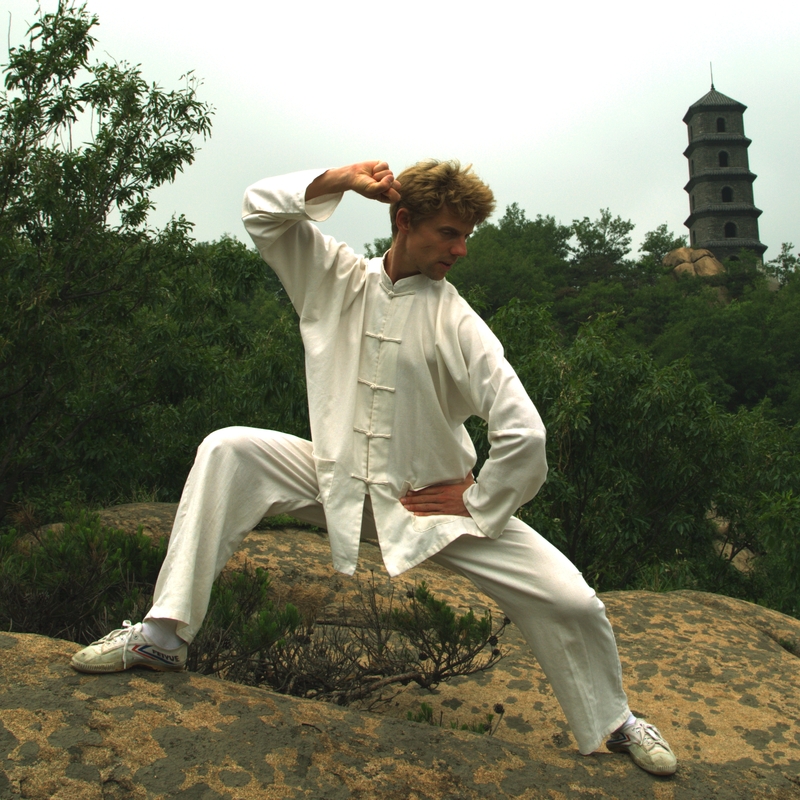 2003 I began practicing Chen Style Taijiquan. 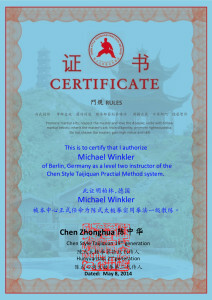 My first teacher was a disciple of Cheng Lijun, one of the first Masters of this art who came to Germany in these days. Further I had contact to Master Chen Xili, his father Master Chen Quanzhong, and Jan Silberstorff, Germanys representative of Master Chen Xiaowang. 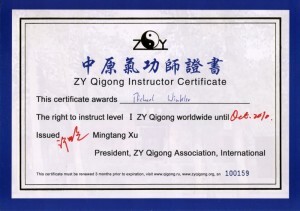 This was the time I did learn the first form, the “Yilu”, for the first time. 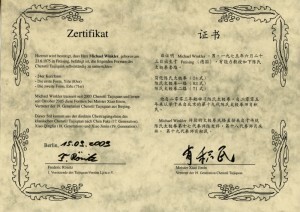 2004-2007 Education in Qigong with Master Zhi Chang Li, Master Xu Mingtang, Heiner Fruehauf and Joachim Stuhlmacher. 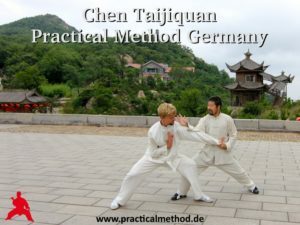 2005 I started to study Chen Style Taijiquan from Master Xiao Jimin, son of Xiao Qingling, a disciple of Grandmaster Chen Fake. 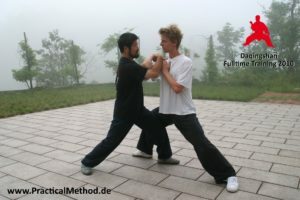 This was the time I did learn the classic “Yilu” for the second time, as there where some differences to my first version. 2010 My first full-time training in “Chen Style Taijiquan Practical Method” in China. 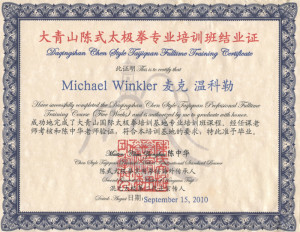 Trainer Level One certificate. 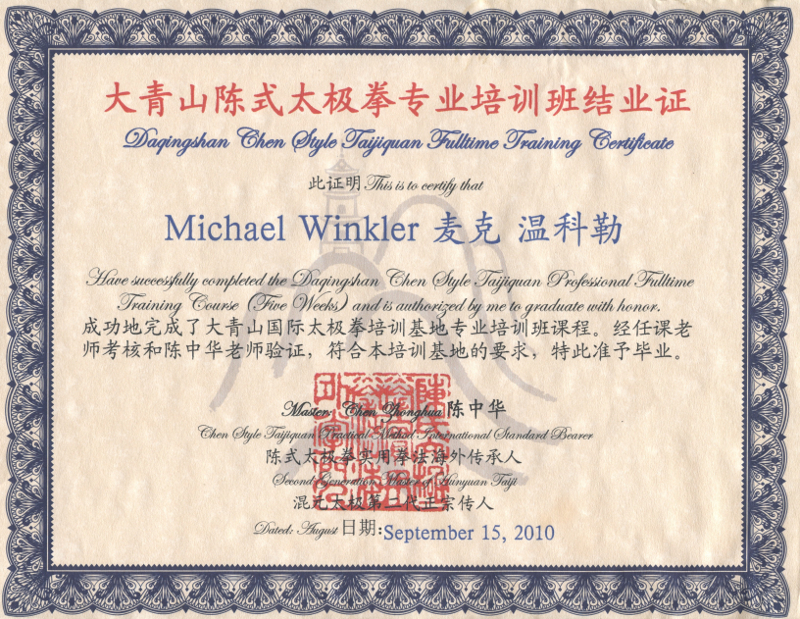 2016 I became the “International Manager” for our Taiji school in China. 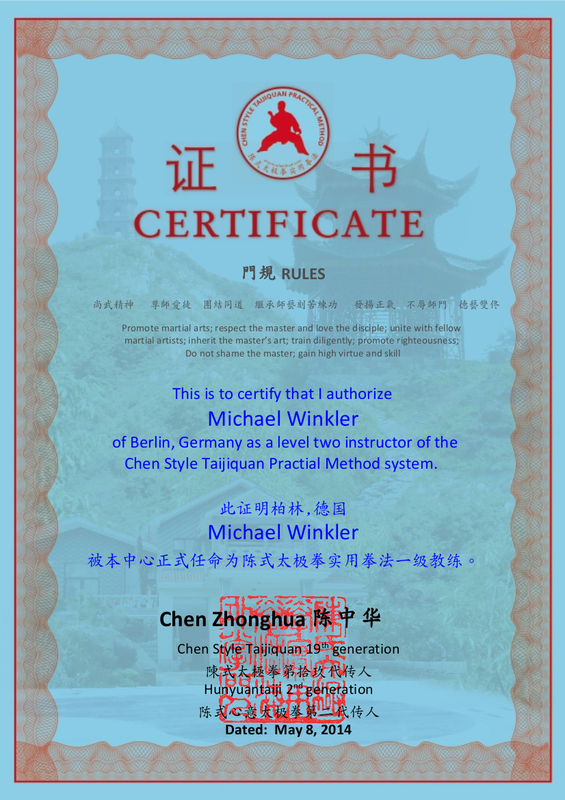 We as a family decided to make Daqingshan mountain in Shandong Province, China, our home base. 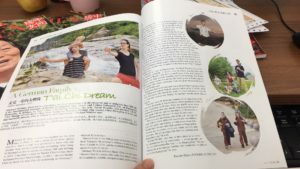 The Chinese Magazine “Women from China” did publish an article on me and my family, moving to China to dedicate ourself to Taijiquan. 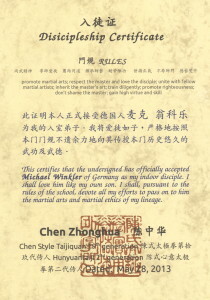 Thanks to the Author Sarah Wang and the allowance to republish it here. 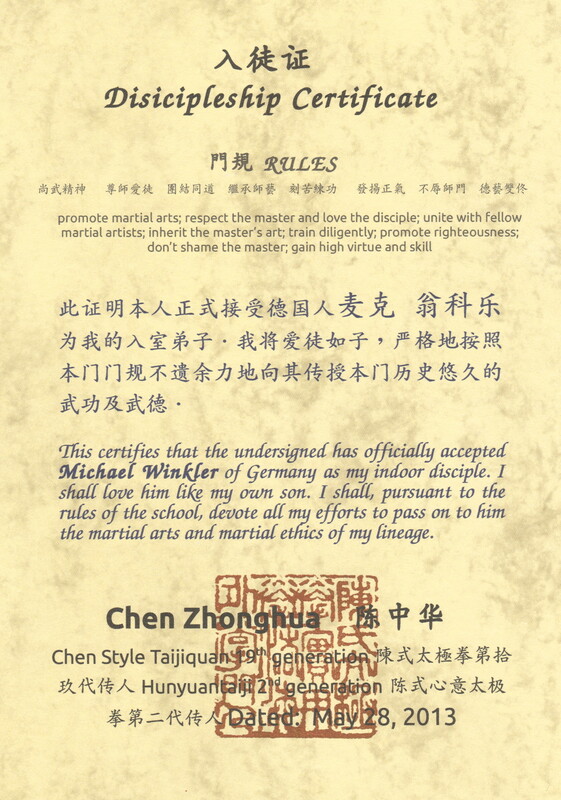 This was the print version in March 2017.